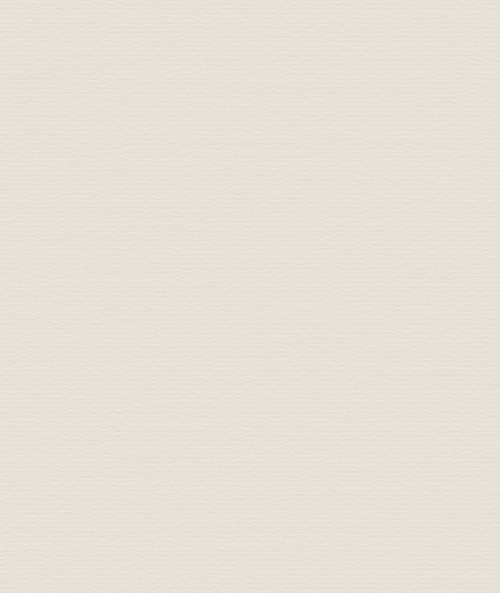 West Wickham driving test route part 2. 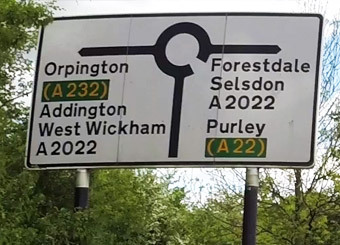 Welcome to part 2 of our guide to the West Wickham driving test area. 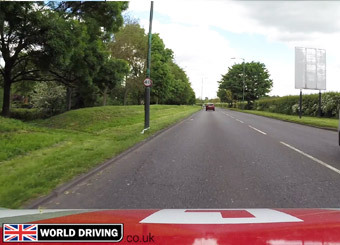 In this video we'll do some independent driving following road signs to Addington. This eventually takes us down Gravel Hill as it divides into two lanes, across a couple of big roundabouts and then onto the Kent Gate Way. The beginning of the drive down Gravel Hill is a bit steep, staying in a low gear can maximise engine braking and keep the car in full control. Eventually it starts to level out as you approach the start of the 40mph speed limit. Be careful not to speed up when you see the 40mph sign but wait until you've past it. It will now divide into two lanes. 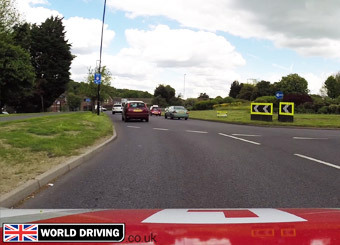 Make sure that you keep in the left lane unless overtaking or turning right. Bus stops and tram crossings all feature down this road, planning ahead is always important. 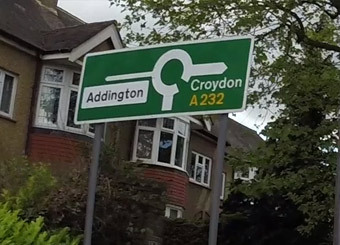 As you drive down to the bottom of Gravel Hill, there will be a sign for Addington. It's a little obscured by trees, so keep a look out. As you approach the roundabout, make sure you observe early to the right. Always be prepared for roundabouts as it might be clear to enter the roundabout. Look out for a tram crossing as soon as you've exited the roundabout. Another roundabout and then it's back to West Wickham. 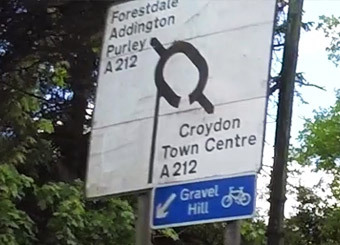 At the next roundabout, the sign for Orpington is a lot easier to see. After the roundabout it's onto the Kent Gate Way (still a 40mph limit) and then you head back into West Wickham. Let one of our professional driving instructors take you on this driving test route and teach you how to be a safe driver. Simply phone 07940 114260 or 0208 650 6153 , book a date and time, and pay for your lessons when your driving instructor arrives at your door. You could be starting your driving lessons tomorrow!